Don't just take time to review enterprise-level products; sometimes all you need is touch of tech to better business. It's okay to not jump at what's new and different, but agents should continue to challenge their technology's capabilities. And like that, we’re done with the tenth month of 2015. This column started in March, so many of you have read (I like to think, anyway) seven months of technology reviews. There’s still so much more out there. What a time to be in real estate. Just look at all the tools and gadgets and websites out there designed specifically to make you in some way better at your job. Innovation is everywhere. However, I don’t want this column to only be about finding what’s new. I want readers to use it to justify why what they’re using now is still what’s best for them. That’s how technology gets better; it gets challenged by the next innovation. To get the most out of your investment in some website or back-end system, continue to seek out ways to replace it. Maybe one of these products from the last 30 days can help you do that. This unique iPhone app is a pocket MLS that encourages video announcements of new buyer needs, lets agents quickly broadcast new listings to their peers and promotes in-market interaction. 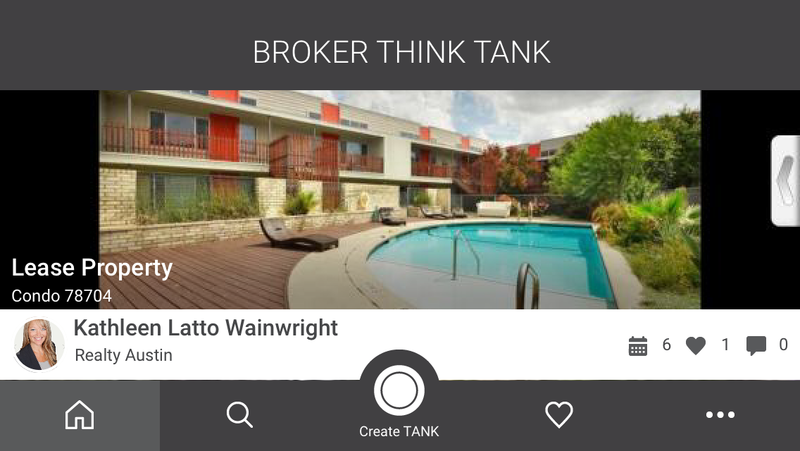 Broker Think Tank was developed by Austin, Texas, agent Kathleen Wainwright. It’s a big idea that may need more time to mature and take hold, but this app is more in line with how agents should be working with one another today than most new products I’ve seen since March. Software is not consumer-facing; it’s designed to leverage the collective sales power of agents. The software supports and encourages use of video. Easily creates and publishes listing content in minutes to respective regional board members. That’s how technology gets better, it gets challenged by the next innovation. This social media management tool is designed around helping you discover content, as opposed to worrying about long-term scheduling or complicated campaigns. The company has partnered with an array of news sources to offer users a perpetual stream of relative industry and lifestyle content to ignite prospect interest. It’s not saddled with superfluous features and empowers multi-office agencies to control and manage what’s published. Lumentus Social puts content first, then publishing. The company has partnered with a number of real estate news sources, Inman included, to provide its users with a perpetual stream of useful content. Lumentus Social is designed primarily for teams with dedicated marketing personnel. The material to be shared is curated carefully via a number of topics available in a drop-down menu. Agents can choose which issues and trends are more suited for their audience. For me, this sharp Chrome extension is all about simplicity. 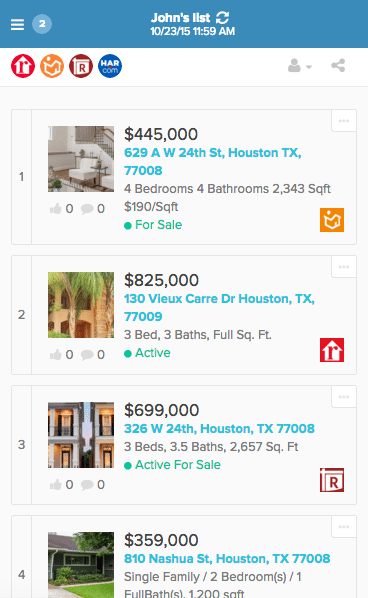 It installs in seconds to allow home shoppers to compile a list of favorite potential new houses. Friends and family can comment, share insight and help rank favorites. This sharp Chrome extension is all about simplicity. Meanwhile, the agent who sent them the link to install it stands at arm’s length, monitoring the activity, intervening when necessary and letting the buyer reveal their preferences. You see, not all useful software has to change the way you do business or build you a website. Some are about efficiency and adding a touch of insight. What stood out to you this month? Nothing? Everything? Are there some tools you’re using that I should review? Please share. Have a technology product you would like to discuss? Email Craig Rowe.